stress of non-stop behavior issues, and the dreams you’ve put on hold for lack of time and energy. You are feeling overbooked and over looked. This is not what you imagined mothering to be. You don’t want to settle for meeting just the obvious physical needs of your child or family. It’s your desire to invest yourself in loving your child and connecting on a deeper level despite the busy schedules, unending discipline issues, and challenging stages. You need someone who can help you find joy in the heart work of parenting. I’m Jami Kirkbride, professional counselor, speaker, author, parenting coach, and personality trainer. But let me tell you this…more important than all these professional roles, I am a mom of seven, usually smiling faces. I have been mothering for 21 years and will be parenting a child at home for 17 more! So, I am doing this right alongside you! Through my personality-driven parenting approach, I help parents of children from toddler to teen who are ready for fresh perspectives, new insights, and practical tools. Maybe they’ve attempted other parenting approaches in the past, but didn’t feel like all the pieces fit. They’re ready to work with someone relatable and kind, but are also ready to put in some hard work to experience a true joy, connection, and transformation in their home. and eager to embrace your role as a purposeful parent? Do you need someone to help restore joy in your parenting journey? deepens the connection between you and your child! Jami Kirkbride is a speaker, author, professional counselor, parenting coach, and personality trainer. Over the course of the last 12 years, she has had numerous opportunities to educate and inspire moms. She has been a contributing author to six books, including Laundry Tales, Pearl Girls, and Mommy Diaries. Her work has been featured on CBN.com, Focus on the Family’s Focus on Your Child, MOPS International and MOMSense radio, and ChannelMom.com. She has co-authored a book titled, The You Zoo, a children’s personality assessment and parenting resource. 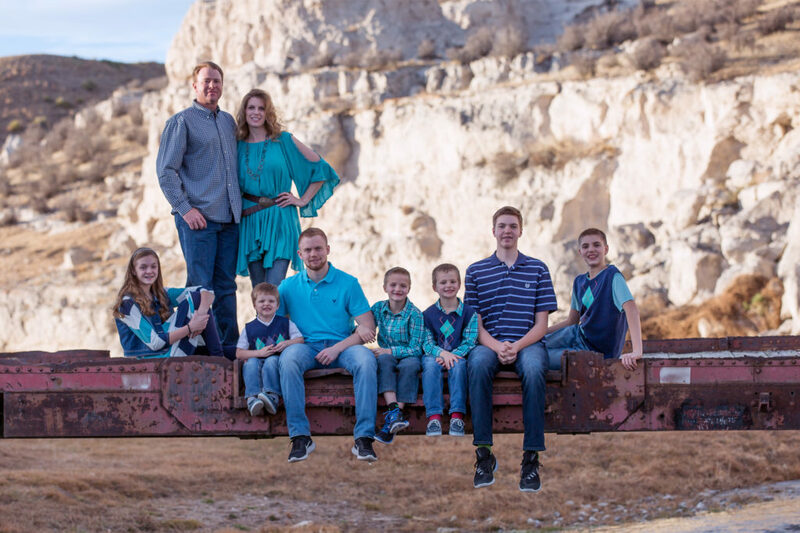 Jami and her husband Jeff are nestled on a quiet prairie with their seven children, Taylor, Carter, Jackson, Savannah, Jayden, Grayson, and Bennett. Their home is rarely quiet, except in the wee hours which are sometimes the best time to think and create. And there is never a dull moment, as someone is always up to some sort of mischief or needing redirection! The days aren’t always easy, but choosing joy is a common practice in this house.